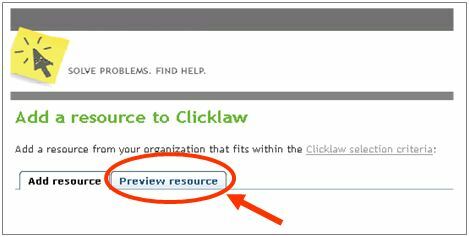 Through the Clicklaw contributor site, you can add a resource that is from your organization. Before you begin to add a new resource, take a few moments to collect some information about it – this will save you time! See Clicklaw Content Criteria and Guidelines to determine if a resource is suitable for adding to Clicklaw. Click “Add resources” on the contributor homepage or in the left menu bar of the contributor site. This brings up the “Add a resource” form. Complete the From section to indicate who produced your resource. If applicable, select a collaborator(s) from the drop-down list. Select one section of Clicklaw that your resource best fits in. Since resources can only appear in a single section of Clicklaw, it is important to identify the primary purpose of your resource. 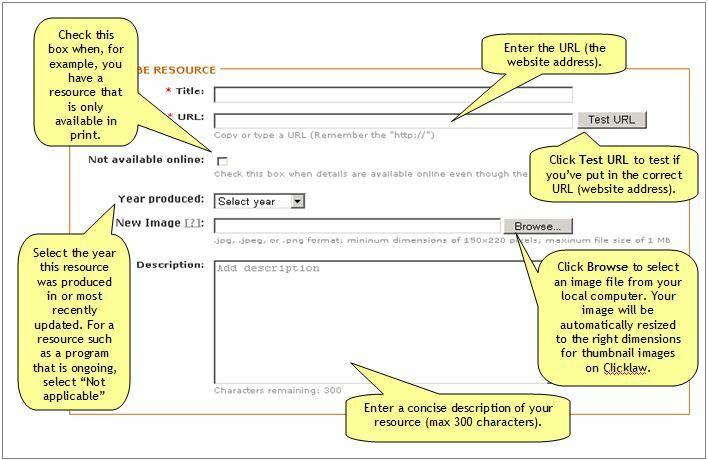 Describe your resource by entering the title, URL (the website address), and some other details. 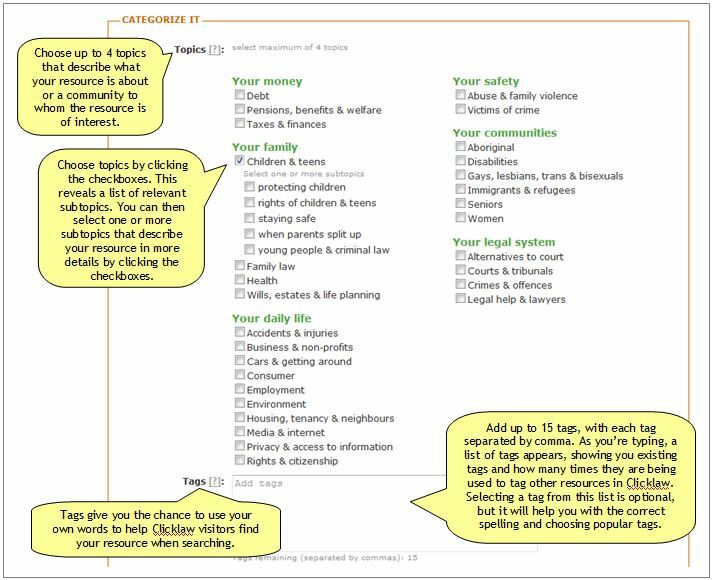 Categorize your resource based on categories from the Clicklaw taxonomy, and tags that you type in. Select topics/subtopics and add tags. Select resource type and media formats. Select any additional media formats. If your resource is available in another media format, you can include a link to the additional format. For example, your organization may have produced a video that is based on a PDF guide that covers the same content. Select any additional language. If your resource is available in a language other than English, you can include a link to the additional language version(s) of your resource. Once you have completed the form, you can Publish your resource or Save as Draft. If you do preview your resource, be aware that your work may not have been saved yet. To save your work, go back to the Add resource tab and click the Save as Draft or Publish button before you’re done. This page was last edited on 28 February 2014, at 12:35.